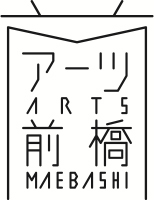 Arts Maebashi is based in the heart of Maebashi City, Gunma Prefecture, a region surrounded by Mount Akagi with its magnificent foothills and the flow of the rich Tonegawa River. The birthplace of Hagiwara Sakutaro, a giant in contemporary colloquial poetry, even now the area remains a peaceful, green landscape though not far from Tokyo. At a distance from a society that prioritizes efficiency and reason, it is an ideal location for creative endeavors. Several institutions are located near us including The Museum of Modern Art, Gunma; the Takasaki Museum of Art; its sister museum, the Takasaki Tower Museum of Art, and the Hara Museum ARC. As we collaborate with these institutions, we hope to become a different kind of creative focal point. Art and culture fulfills its role as it accumulates and is transmitted over a long period of time. The process helps us learn how we are living in the present. That is why, in this institution, I wanted share with everyone what both people past and present felt and attempted to express. And, I also intend to create a place where those who hope to know this can interact with each other. I believe this will make Arts Maebashi an important place for many people, and hope this will become a place that everyone supports. Furthermore, we, as a society, also fulfill important roles as supporters of artists with amazing abilities to manifest and express the workings of those sensations we cannot see. Although we cannot all be artists, I hope to increase as much as possible opportunities for everyone, from children to adults, to come into contact with this creative power. To achieve this, it is not enough to simply hold exhibitions; we need to convey the appeal of art through various programs. I believe that as Arts Maebashi shines light on cultural resources, it will ultimately lead to regional vitality. From the dialogue that occurs in this place, surely new ideas will be born. They will step beyond the framework of art and culture, and, like small, expanding ripples, I believe they will create our future. We hope to make this kind of effort in order to remain a creative base for the region in the decades and centuries to come. We thank you deeply for your support and advice going forward.